Twenty-four farmers and extension workers from the Cordillera Region in Northern Philippines were participants in a workshop on documentation of participatory activities, organized by the Consortium for Unfavorable Rice Environments (CURE). "The workshop is part of a linkage that CURE had built with IFAD investment projects, called 'technical innovation service' or TIS," explains Digna Manzanilla, IRRI social scientist and CURE associate coordinator. The Consortium entered into a partnership in early 2011 with the IFAD-funded Second Cordillera Highland Agricultural Resource Management Project (CHARMP2). The documentation workshop is part of the series of activities lined up for farmers and extension workers from the project's three pilot villages—Hungduan in Ifugao, Barlig in Mountain Province, and Pasil in Kalinga. The workshop's aim is to provide participants with tools for organizing, analyzing, and documenting field-based information. It provided help on writing documentation reports and packaging these into formats that are tailor-fit to the needs and characteristics of specific audiences. 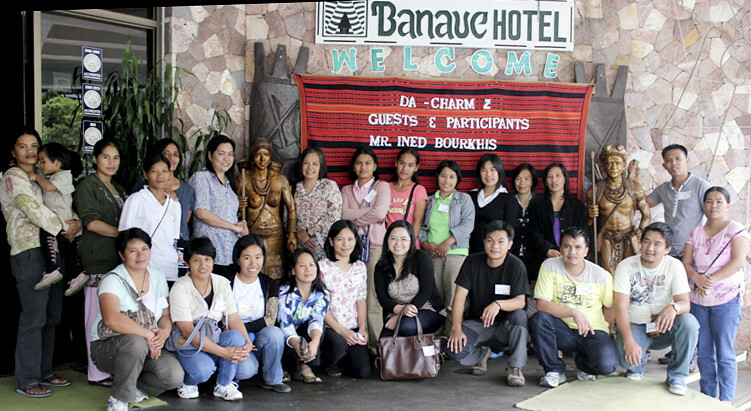 The workshop was held on 18-20 September 2012 at Banaue Hotel in Ifugao Province.